Can a horror movie get by on atmosphere and filmmaking chops alone? It Follows answers that question with a resounding, ‘yes, kinda’. 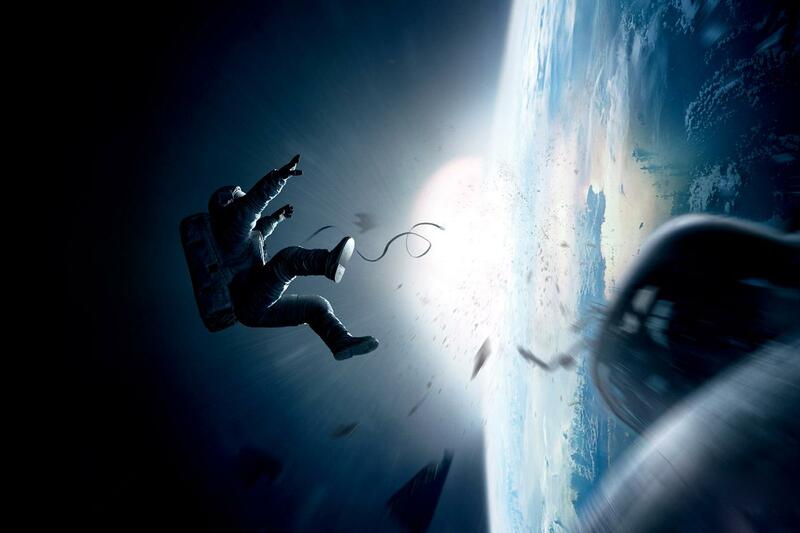 There is absolutely no denying Gravity‘s mastery of cinematic and technological form and the beauty of its visuals. The camera effortlessly glides through the (lack of) air capturing both the enormity of space and the claustrophobic intimacy of a space suit in single vast takes without calling attention to itself. When you have Alfonso Cuarón as the director and Emmanuel Lubezki (Terrence Malick’s longtime collaborator) as the cinematographer, you know you’re going to get images that simultaneously capture all the beauties of nature and humanity by focusing on the mundane and tactile qualities of existence. Calling it now: Before Midnight is my favourite film of 2013. Although I’m intrigued by upcoming technical masteries (Gravity) and festival darlings (12 Years A Slave, Inside Llewyn Davis), I just cannot imagine a film coming along this year that is able to capture the truth of human existence and relationships in all their beauty and ugliness as effortlessly and simply as Before Midnight. This list represents a ranking of the Studio Ghibli films that I have seen between 1984’s ‘Nausicaa of the Valley of the Wind’ and 2010’s ‘Arriety’. This list is to somewhat celebrate the arrival of Hayao Miyazaki’s latest film ‘The Wind Rises‘ which will premiere at the Venice Film Festival. I’ve still yet to see ‘From Up On Poppy Hill’. Studio Ghibli has made some of the greatest animated films of all time. Almost every film is beautifully textured and thoughtfully written. This list is ranked purely in terms of how much I enjoy these films; it’s not necessarily a reflection of how well made they are but rather how much I enjoy revisiting them, so there may be some controversial choices here. Not the most diverse list, I grant you, but fairly accurate of my not-very-diverse tastes.